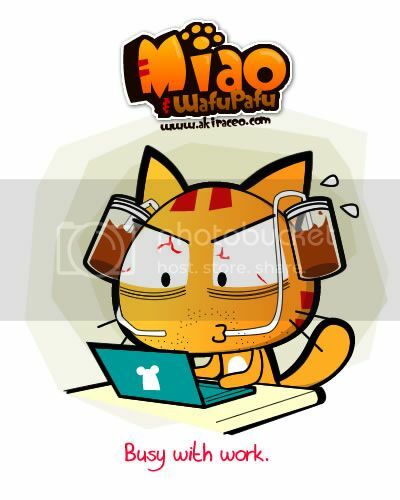 Miao & WafuPafu Comic Blog » Working my Life off..
« Miao Getting a HTC + Iphone + WindowPhone7? When I decided to go out for a Movie..
Posted on February 25, 2011 by Jian Akiraceo. This entry was posted in Rant and tagged busy, comedy, escalator trick, funny, magic wall, video. Bookmark the permalink. wah stress up miao…gambatte neh?